Fully wrap your phone with a custom, one-of-a-kind design for your iPhone 6 & 6S PLUS. Protect the sides and back of your device with a hard case. Designed with your own photo. I want to protect my iPhone 6 Plus in a unique and stylish way! Got a cool idea for a phone case but havent found it in any of the stores? No worries. How about making it yourself right here at GoCustomized. With our full wrap iPhone 6 or 6S hard case your phone will be protected in a unique sheet of style. 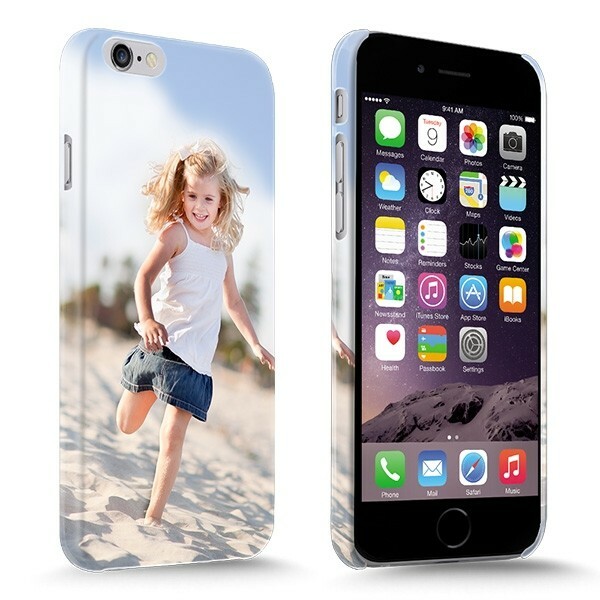 Your personally made design will be printed on the entire case. That includes the sides of the iPhone 6 plus hard case. The case is made of a special hardened plastic which ensures the sides and back of your device or well protected against scratches and dents.In addition, the case does not hinder the usability of your phone as all buttons and access points are kept free. Give your iPhone 6S Plus a one of a kind look and feel with a full wrap hard case from GoCustomized. How do I design my case? By using our user friendly design module, you will have created the perfect iPhone 6 or 6S Plus full wrap case in minutes. All you will need is one of your favourite images to get started. You can upload an image straight from your computer, tablet or smartphone. In addition, you can upload an image straight from Facebook or Instagram. Add some text to give it that extra level of personality. There are many fonts and colours to choose from. You are free to design your case however you please, no one is holding you back. A personalised iPhone 6 Plus case is not only perfect for your but can also be given as a great gift! When can I expect to receive my case? As soon as we have received your order, we will get start producing it immediatly. We do not run a mass production facility. Each and every case is dealt with one by one by one of our production professionals. If they encounter a problem which could result in an unsatisfactory end result, they will contact you with possible solutions. We ensure that the case is on its way to you within 24 hours of purchase. So get started now and have your case in just a couple of days!